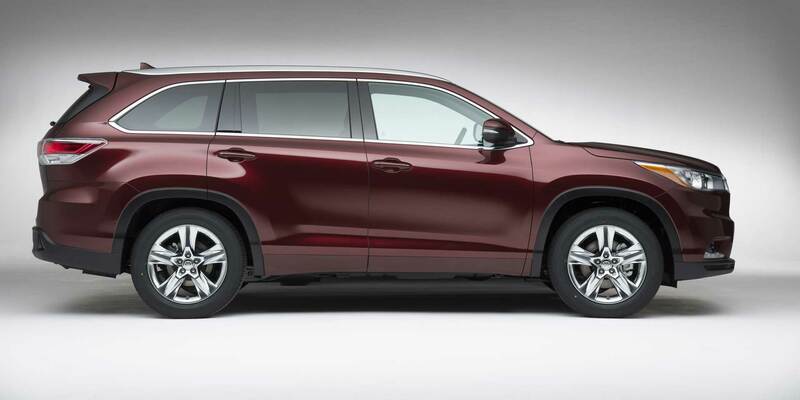 The 2016 Toyota Highlander is generally unchanged from the previous model year. Insignificant upgrades include the standard towing package on all V6 models. The notable exterior features include variable intermittent wipers, rear liftgate door, privacy glass, underbody-mounted spare tire, fixed liftgate window, intermittent rear wiper, cargo tie downs and rear spoiler. The Highlander has spacious first- and second-row seats. The 3rd-row seats are perfect if you’re transporting kids, they’ll have sufficient space. Test drivers love the multiple, enormous storage bins throughout the cabin of Highlander, and general cargo capacity is excellent for the class. Standard features include Bluetooth, a rearview camera, a USB port and the Toyota’s Entune touchscreen infotainment system. Auxiliary audio input, Bluetooth wireless data link for hands-free phones, and Audio and cruise controls are placed on the steering wheel. There’s also a USB with external media control. Entune Audio Plus comes with a Connected Navigation App which allows access to extra entertainment with SiriusXM Satellite Radio and also HD Radio features too. The entry-level engine of Highlander stays a 2.7-liter 4-cylinder with 184 lb-ft of torque and185 horsepower. Front-wheel drive is required with this engine. EPA fuel economy approximations are 25 MPG on the highway and 20 MPG in the city. Safety measures for the Highlander include dual front side-mounted airbags and also Child seat anchors. Passenger airbag detecting deactivation and the Front, rear and 3rd-row head airbags also come as standard.